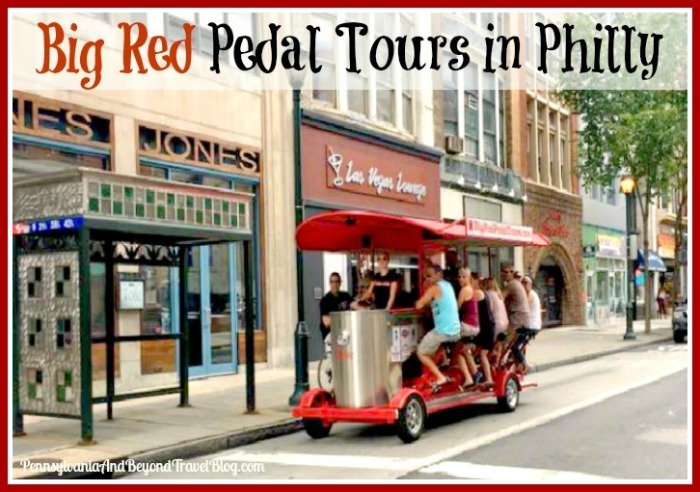 If you're heading to downtown Philadelphia to explore the historic sites and businesses, you may want to consider seeing the sites via Big Red Pedal Tours. Never heard of them? Well, Big Red Pedal Tours offers small, medium and large groups a way to see the sites while pedaling their way around the downtown area on a 15 seat pedicycle! Each pedicycle has 10 seats with pedals, 2 non-pedal seats and a bench that will hold 3 people. An experienced guide will drive and steer the pedicycle down the street. With that said, people within your group will be responsible for helping to pedal it around. All tours start and end at Silence Dogood’s Tavern at 216 Market Street in Old City (near 2nd and Market streets). Depending on the tour, you will explore many areas of Philadelphia like Old City, South Street, Society Hill and Midtown Village. You can bring your own food and non-alcoholic beverages along for the ride. Big Red Pedal Tours are open year-round, weather permitting. For safety reasons, they can cancel the schedule tour if they deem the current weather conditions to be unsafe. The cost varies depending on which day of the week and which time of the day that you go. Typically you can expect to pay $25.00 to $29.00 per person for a 2-hour ride tour. 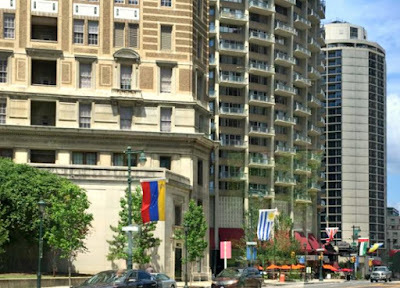 This is a really cool way to see some of the historic sites in downtown Philadelphia while getting some exercise and out in the fresh air. You can book your tour right on the Big Red Pedal Tours website and you can visit their site to learn more. We really enjoyed our tour and would definitely do it again! I think the idea of a Big Red Pedal Tour of Philadelphia will be a unique experience and a lot of fun. I shall be near Philadelphia when I am staying with my son . That will give me the opportunity to visit and play tourist.